Aaron Ramsey will miss Wales' opening Euro 2020 qualifier against Slovakia on Sunday after failing to recover from injury. 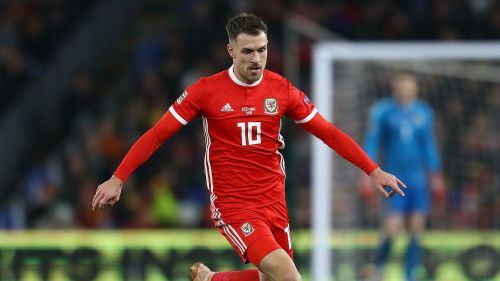 Ramsey played no part in Wales' 1-0 friendly win over Trinidad and Tobago on Wednesday. Wales manager Ryan Giggs said: "It's a blow, especially the form he's been in, but it gives a chance for somebody else. "We made sure we had a plan B and we've worked on that during the week. We're going to miss someone like Aaron, but we've prepared for it as well." Ramsey will hope to return to full fitness for Arsenal's next game against Newcastle United in the Premier League on April 1.